Less than a year after going live, Google is closing down the BebaPay smart card which was introduced as an NFC based cashless payment mechanism for Nairobi’s public transport. Last year, I’d analyzed the context and the operating environment in which they’d launched their service, on hearing the news that they’d been struggling to gain traction. I’d gone on to add my thoughts on designing services for the informal economy, where a vast majority manage on irregular incomes and transactions are primarily in cash. Today we note that Kenyan BebaPay card holders have been advised to use up any remaining balance and/or turn in their smart cards for a prepaid MasterCard, issued by the same bank that Google partnered with. We also note that Google had shut down their payments pilot in The Philippines and is apparently planning to step out of the payments space. This gives rise to food for thought – are they shutting these initiatives down because of a pivot in business strategy away from payments, leaving the way open for MasterCard? Or, and this is of interest to me from the design planning perspective, did their inhouse approach to new product development create a situation where they found themselves struggling to lower barriers to user adoption of their services, and thus led to their decision to withdraw from the entire playing field? I have the experience of a deep dive or immersion – in the operating environments of both Kenya and The Phillippines – exploring the way people manage their finances whilst juggling their irregular income streams to minimize volatility and plan for their expenses. These new markets are so different from Google’s accustomed playing field that their usual approach to new product introductions may not be the right fit, if indeed they seek to expand their reach beyond their existing sphere of dominance. On the interwebs, we have become accustomed to the concept of companies that launch products in beta, still buggy and finding their way. Over time, we have also come to recognize Google’s habits of shutting down services, regardless of how much we may weep or wail –> Google’s RSS Reader, for example, is one still missed by many in the old skool. But once you step away from your tech savvy audience in the broadband segments, to the millions of noobs coming online, with an entirely different contextual knowledge of technology and its practices, I don’t believe you can summarily make the same moves you could have earlier, without there being a bigger backlash. 700,000 commuters have been left stranded in Nairobi, forced to find a replacement for an innovative tech solution that they were forced to adopt in the first place when the government put their cashless policy in place for bus fares. This is the real world, and these are real people, struggling to make their way home after a hard day’s work trying to make a living. This isn’t the minor inconvenience of not being able to use Reader’s free service to grab your favourite RSS feeds. These are also new markets for the Google brand. One where reputation, commitment and longevity matters. These are not your regular customers tied to your GMail or other services, like the rest of us, that we still come back to search or check our mail even if you take away a toy or two from your playground. Particularly if you’re looking to provide a service for the lower income bracket in the developing world. The Ugandan tech blog Dignited pointed out the demise of Google’s Trader – yet another service meant for the untapped and emerging newcomers to global connectivity – and this implies that a pattern of unreliable behaviour has already established itself in the enduser’s mindset. They embraced your shiny new bauble you launched for them with such fanfare and then you yanked it away. This won’t be an issue only for Google, tbh, its a part of the design culture for the digital era. And one, perhaps that needs a momentary rethink when considering the next billions coming online. There is a larger conversation here, I can tell, on design, process and methodology and its evolution in response to more greatly intertwined world we live in. On the internet, which is now ever more global, the flap of that butterfly’s wing can indeed reach further than you envisioned. The previous post on the sluggish adoption of Google’s BebaPay, a cashless prepaid card introduced in Nairobi as a payment mechanism for public transportation, had me pondering the challenge of designing services for the informal sector. 2. The characteristics of the cash based informal sector. That is, if one were to say that the design of a new service should take the people and their operating environment into account as much as the actual technology and platform, then this is yet another example of technocentric design failing to meet its promise once introduced in the market. Why are these elements so critical in this context? Ensuring at the design stage that all possible effort have been made to lower the barriers to user adoption of your new product or service is one of the key ways to maximize its chances of success in the operating environment. Here, the people who are going to be using this service on a daily basis are not necessarily the stakeholders involved in the design, implementation and launch of this new cashless payment system. Matatus are operated by drivers and conductors, not the owners themselves. They, together with the commuters, are the end-users. Call them the wananchi, as they do in Kenya. From the technology point of view, the implementation of the cashless payment service using Near Field Communications on an Android smartphone and a plastic prepaid card, was a very simple matter. All you need is an app downloaded on a mobile in the hands of the conducter who can then swipe passenger’s cards when accepting fares. Passengers can pick up these cards for free at any Equity Bank agent – ubiquitous in Nairobi – and top them up either directly at the agent or through the MPesa system. The shift from daily cash flow and living in the ebb and flow of the kadogo economy is a shock to the people whose livelihood has been directly affected by this system. Where the operators of the matatus were accustomed to managing with a fluctuating yet constant flow of daily cash in hand, with all the habits of household expense management and purchasing patterns consistent with that volatility, they are now expected to accustom themselves overnight to a monthly budget. Was any financial education offered to them to ease this sudden change? Do we know if they have received sufficient salaries to cope with their expenses? 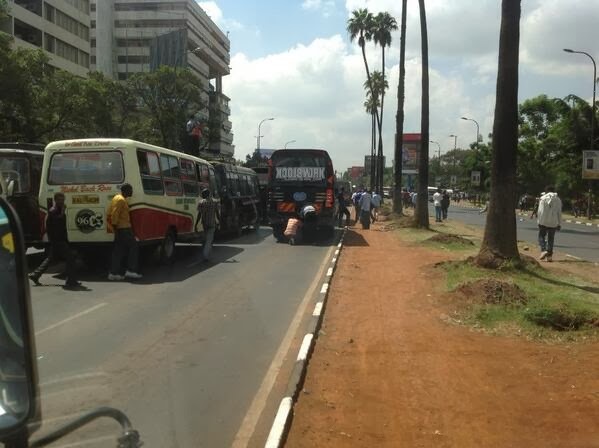 The recent Nairobi matatu strike seems to imply not. Cash in your pocket is the most flexible payment mechanism when managing daily expenses. A prepaid card locks in your cash, particularly if its only usable for one type of purchase. For example, you might need to purchase milk and bread on the way and make a decision trading off your matatu fare for food, choosing to walk home instead. At the moment, prepaid payment cards have not yet scaled beyond the transport sector, so if you have 200 shillings in your Bebapay card, it becomes an inflexible tool without options for alternatives. How likely are you to lock in extra cash when you’re accustomed to the flexibility required to manage expenses, especially if you too are employed in the informal economy? And how convenient is it to top up your card at the nearest Equity Agent as opposed to jumping on the nearest bus with cash in hand? From thinking about today to planning for tomorrow, without the accompanying infrastructure. The system imposes planning for the future out of context of the entire ‘prepaid’ or kadogo economy’s rhythms. This is a huge change in behaviour required from all the end users of the system. 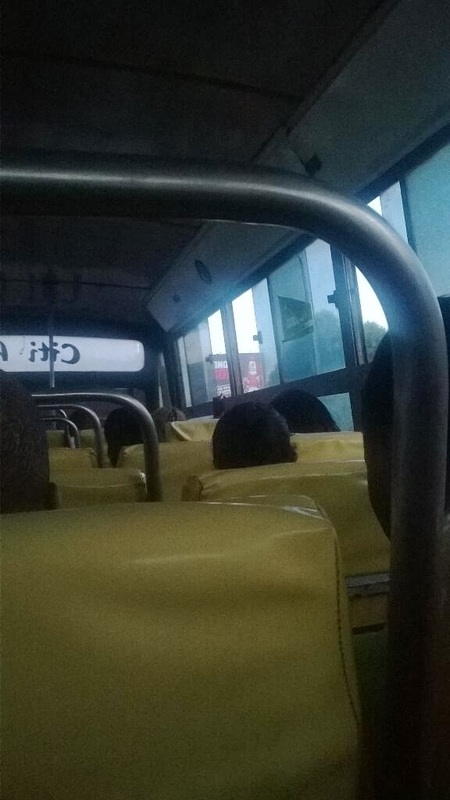 To go from the daily rhythms of irregular income streams where coping mechanisms are habituated to minimize the volatility between expenses and cash flow to suddenly budgeting transport costs, planning in advance to top up your matatu card, changing the way you think about money is far more complicated and challenging than simply adopting a new transport payment service. So, what about Lipa na MPesa? Why then, as Dennis Kioko noted on Twitter yesterday, are Google’s BebaPay posters being torn down in City Hoppa buses and replaced by Safaricom’s Lipa na MPesa? Looking at the Mpesa system only from the point of view of the barriers to adoption raised in the preceding paragraphs, the first and foremost advantage it offers the wananchi is Flexibility. Your money is not locked into your MPesa account to be only used for your matatu fare. If you did need to send some to your teenager in school or make a purchase, you could access it. From the operator’s perspective, accepting an Mpesa payment ensures that they will follow the regulations banning cash fares for matatu travel yet the unspoken options on which MPesa account receives payment remains flexible. Until the system design finds a way to cover the operator’s loss of income it will not be an acceptable option. We don’t know if owners raised the salaries of the bus drivers and conductors or offered them any incentive at all to change not only their own financial management behaviour but also to adopt this new streamlined (and rigid) payment system. Can service design for the informal economy afford to overlook this fundamental aspect of the end user’s behaviour and mindset, arising as it does from the very volatility of their operating environment and income sources? Can service design afford to assume that any new payment plan or revenue model that is meant to operate for the mass majority in the developing world will operate in the same way as it would in the first world? Can service design as practiced in the sophisticated and structured formal economy afford to overlook the very human challenges faced by prospective customers halfway around the world? Stakeholder interviews and technology testing is not the same as fundamental understanding of the people, their problems and their purchasing patterns. Focusing on the platform alone without wholly visualizing the impact of introducing such new services on people will only raise the barriers to adoption, not lower them. This case is not a simple of of a new product introduction but one that not only impacts incomes and livelihoods but also requires massive behavioural change from the end users. I’ll be following up on writing further on formalizing the informal after a literature review. This week, news from Nairobi, that hotbed of mobile money innovation, opened up a Pandora’s box of reflections on payment plans, service design issues and the challenge of technology adoption in the mass markets of the African informal economy. None of these are ‘bad’ things in their own right, but taken together, they have resulted in a perfect storm for innovation planning. Matatu operators are opposed to the BebaPay — a cashless payment system for commuters. The platform, launched last April by Equity Bank in conjunction with Google, is facing challenges. A single sentence. Yet when parsed further, it contains many implications for what exactly has been happening in the informal transport sector in Kenya and the potential opportunities as well as possible repercussions for players in the mobile payments space. Yes cashless payment is much better and I personally have campaigned for it for years. But you can’t say you outlaw cash payment. There things which are good and need to be done but the society needs to evolve before going out right into some of those things. At this point in time cashless payment will be great for some in Kenya, but unfortunately majority of Kenyans are still not ready for such drastic shift. To start with, this should be left for market forces to determine the time and speed of adopting cashless mode of payment and not some sort of directive from the Government. This is a move to formalize a sector of the informal economy, and conceptually a worthy one where benefits to multiple stakeholders – transport business owners, banks, payment service providers, the tax authorities and the government – are immediate and obvious. The real world challenges of attempting to bridge the formal and informal economies I will cover in a subsequent blogpost. The Economic Survey 2013 values Kenya’s road passenger transport business, which is dominated by matatus, buses, motorcycles (boda bodas) and three-wheelers popularly known as tuk tuks, at Sh205 billion. This means that providers of electronic payment systems as demanded by the Safaricom and Equity Bank stand to potentially earn upwards of Sh2 billion annually assuming a transaction processing fee of one per cent for payments. Equity Bank said it is targeting the more than 1.5 million Nairobi residents who use public transport daily. “This system will help eliminate the cost and risk of handling cash. It will also help formalisation of the transport sector because as banks, we can now fund this sector without fear since we will have the financial status statements of the industry players at hand,” said Equity Bank CEO James Mwangi. The public transport sector is a key economic driver whose growth could power the economy, but has been held back by the disorderly nature of the industry. Furthermore, stakeholders such as the matatu owners, are said to be pleased with the aspect of the payment system directly depositing passenger fares into their bank accounts, bypassing the crew of the matatu, eliminating opportunity for fraud, theft, corruption and loss of income. Equity Bank has partnered with global IT giant Google to introduce a cashless commuter fare payment system that involves the use of pre-paid plastic cards to settle public transport bills. The partnership marks Google’s first introduction in Kenya of its Near Field Communication (NFC) technology, which it has been promoting in some developed economies. The card-based system dubbed BebaPay is based on Google’s NFC technology, which runs on the Android mobile phone operating system. Users will swipe pre-paid cards against android-based smart phones [with a special app] that will be given to public transport customer attendants. The cards, Mr Mwangi said, will be available free of charge at Equity Bank service agents, where they can also be loaded with money. The cards can also be reloaded with cash through the bank’s mobile banking platform, without incurring additional cost, or through M-Pesa Paybill. Matatu owners will be able to access the money paid by commuters immediately, and can access records of their bank accounts in real time through a system interface, allowing them to track the inflows from their vehicles. The public service vehicle operators will be required to have the BebaPay application on smart phones in order to accept payment from commuters. Commuters on their part will receive free SMS receipts once they make payments. On the look of its, given the context of the regulatory changes in the operating environment, the lucrative opportunity for a successful service and the ease of use and accessibility of the technology, the solution seems like a no brainer. In fact, both MasterCard and Family Bank have announced the impending launches of their own solutions during this past month as well. A scramble in a teacup, one could say. So why does the news that matatu operators are unhappy with the system continue to make me hesitate to state that its just a matter of time and people are always unhappy with change and everybody will settle down and stop complaining and get used to it by the time the deadline in July rolls around? The original article quotes some matatu operators as saying that the system leaves them with no cash in hand at the end of the day, or that they end up in the lockup due to some unhappy cop. Additionally, some are ‘losing’ their android smartphones as a way to revert back to cash transactions. These are all ‘bad’ things – I use the air quotes deliberately as I am not in the habit of making value judgements on observed and existing user behaviour, merely documenting them as elements of the operating environment in which this system must succeed – and from the matatu owner’s perspective, per the article, the new payment systems will eliminate them. Matatu Owners Association chairman Simon Kimutai, speaking during the launch of the card in April 2013, said the cashless system would help investors in the industry to control their cash flows and reduce losses that they incur from theft by matatu crews. Yet, in an aside to a tweet by Emrys Schoemaker requesting a comparison of news articles against reality, one does note how everyone seems to be saying the same key talking points. Whether its the public relations person quoted in the very first article, or other major stakeholders in the subsequent ones, the benefits stated are not only all sounding alike but none of them benefit either of the end users – the operators of the transport vehicles and the commuters. Where is the user’s voice in this huge shift that will impact their daily bread? And what is the benefit to commuter? This all too common oversight in traditional approaches to product and service innovation, based as they are on opportunities created by top down regulations, is what has been bothering me all day about the news. The implications throughout have been that because commuters will have no choice but to adopt this new system of payment, all the various providers have to do is throw their services out there and make a big fanfare around the launch whilst signing up as many routes as possible. There things which are good and need to be done but the society needs to evolve before going out right into some of those things. At this point in time cashless payment will be great for some in Kenya, but unfortunately majority of Kenyans are still not ready for such drastic shift. is that even while the public transport industry might be regulated into the formal economy using the technology of mobile payments, there is still the rest of the informal economy, on which the majority of the commuter’s depend upon for their income, to take into consideration. And this one, which is being regulated, is one of the main arteries pumping blood into the that system, as matatus transport those informal business women and men to their markets, transport goods and materials and act as a conduit to the hubbub of the hustle. Should a Google be thinking of phasing in the payment plan, taking behavioural change and the economic operating environment of the majority of those who must use their service into account? Have these prepaid commuter card services given a thought to the way cash flows in the informal economy and the purchasing patterns of those who make their living within it? If the matatu operators are refusing to adopt these services, were any alternatives offered in the system to replace the benefits that the existing cash based offered them? “With the system, you cannot be left with some cash at the end of the day to even buy milk since we depend on salary,” said Peter Mwangi, a conductor on Route 33. Despite aggressive marketing, BebaPay is still struggling with few matatus embracing it. Normally, the conductors and drivers only remit the amount collected from people who board the matatus at initial departure points. Given the stakeholders are the government, the banks, the transport owners and the mobile payment service providers, whose responsibility is it to understand the elements of the informal economy that make it work and seek to identify the touchpoints to bridge the gap between the formal and informal successfully? When a service fails to be adopted, such as BebaPay, is it the fault of Google’s service design process or Equity Bank’s? Is the problem with marketing or is it with “corruption in the system”? Or, as I see it, are those the easy answers to this problem and a goodly dose of contextual understanding and user research to support the desk research and boardroom strategies could have offered insights on how to introduce formalization to a hitherto informal yet extremely critical industry? I’ll explore both the issues from the point of view of the informal (or prepaid economy) and service design and innovation for these environments in subsequent posts. *From my 5 years of user research documented here.